What is a powderpost beetle? Powderpost beetles are a group of seventy different species of woodboring beetles, are are reddish-brown to black in color with a cylinder-shaped body and typically range between 1/8 and 3/4 inches in length. 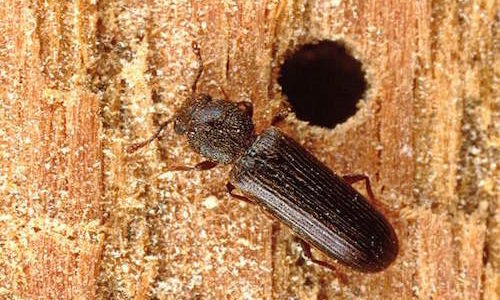 Powderpost beetles, unlike most similar woodboring insects, have distinctly visible heads and antennae with two-jointed clubs. Their primary foodsource are deciduous trees, which their boring reduces to powdery dust over time. They live inside wood they’ve bored holes into as larvae, being fed by the starch content within the wood as they grow. Female beetles of these varieties commonly end up laying their eggs in the same bores they grew up in, so if they are able to nest and proliferate inside your home’s wooden framing, it can cause significant problems. They’re not dangerous in the sense that they will frequently bite or physically harm any humans they come in contact with, but the extent to which they can cause damage inside home structures is dangerous. They can infest a wide variety of wood but have been documented to especially prefer making their homes in frames, furniture, books, toys, flooring, and structural timbers. You have powderpost beetles because your home contains an appealing source of unfinished and moist wood that is the main draw to them as a potential food source. How can I prevent powderpost beetles? Powderpost beetles love moist wood, so the first thing you’re going to want to do is lessen moisture content in wood to less than 20%. There are a number of ways that you can do this such as the use of central heat, vapor barriers, and increased ventilation efforts. Dryness is your first guard against beetles. Your next guard is only utilizing wood that is sanded and varnished within your home, as it is less appealing as a food source to potential pests. How can Gregory Pest remove powderpost beetles from my home or business? 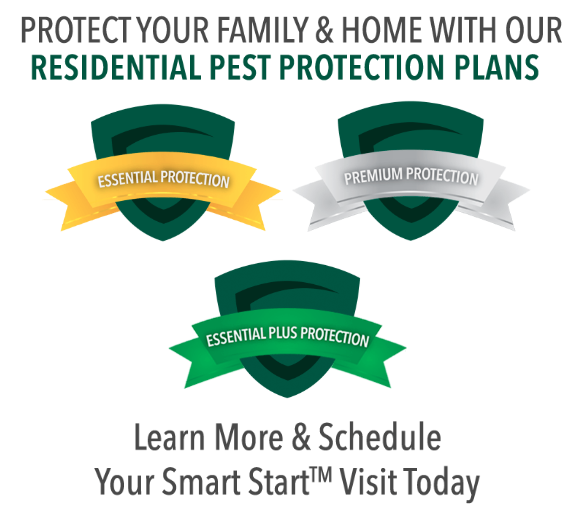 An expert exterminator from Gregory Pest Solutions will be your full-service pest solutions provider specializing in the effective, humane removal and prevention of powderpost beetles from your home or business. When you hire us to evaluate your home’s problem, one of our pros will be sent to assess the beetle situation and then formulate an environmentally friendly plan for removal and prevention. Once we implement our plan, our experts will clean the area and seal any openings that are prime for re-entry so you and your family can enjoy a lasting insect-free environment.